Thanks to my good friend Tina for sharing this waffle recipe. I don’t buy frozen waffles anymore, nor do I buy the premix stuff. These waffles are easy to make. The original makes fluffy waffles already. 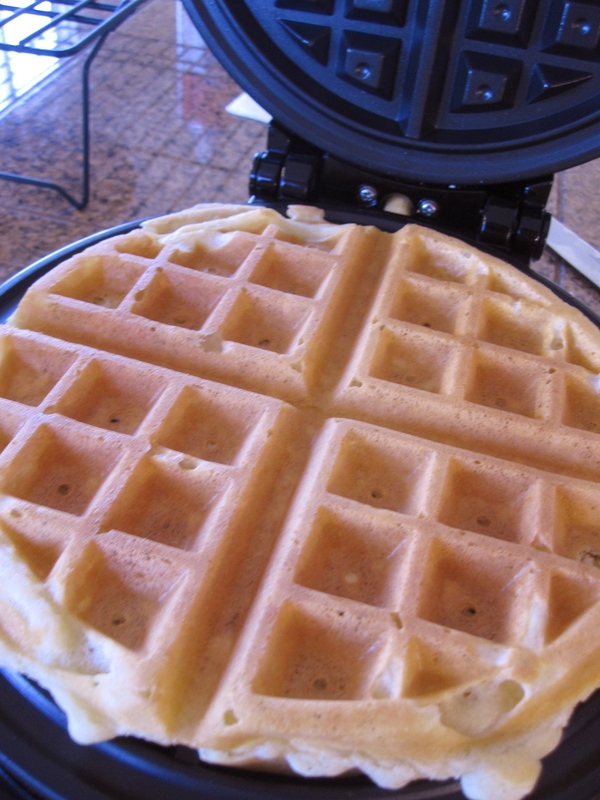 I change the method to egg yolk and egg white separation, which is a little more work, but makes even fluffier waffles. Try both methods and see which one you prefer. Spray preheated waffle iron with non-stick spray and pour mix onto waffle iron. Cook until golden brown. In a small bowl, whisk egg yolks, milk, cooking oil and vanilla extract to blend well. Pour yolk mixture to flour mixture all at once. Use a hand whisk to mix until no dry flour remains. The batter will be lumpy.